Nowadays, for each and every interview process most of the companies prefers conducting some of the aptitude tests. These aptitude tests help in finding the actual ability of all the candidates appeared for the interview. And with the help of these best career aptitude tests the hosting companies eliminates all the undeserving candidates based on their performance in these aptitude tests conducted by the companies. Therefore, it is necessary to conduct all these aptitude tests for the sake of candidate credibility. Different companies use different level of aptitude tests for their interview process. And because of these aptitude tests most of the companies judge the candidates skill and talent as compared to the real life situation in the form of these aptitude tests. And some of the aptitude tests are as follows. In this Myers-Briggs aptitude tests, an employer can understand the personality and abilities of the candidates appeared for the interview. It is used to determine the understanding and decision making abilities of the candidates and they are specially categorized on the basis of their management skills. Therefore, it is necessary to make use of the Myers-Briggs aptitude test, if a reputed company wants to hire a well deserving MBA candidate for their company. The main important element of these John Holland’s aptitude tests is that with the help of this an employer will explore more qualities of the ideal employee. According to this test, a person can find out the type of personality that the candidate is perceiving. It is also stated that there are six different types of personality that each and every person manage in their daily life. And with the help of this John Holland aptitude test, employer might find one of them. It is one of the aptitude test which is in favor of the candidate and the employer as well. The main feature and focus point of this aptitude test is that they help in finding out the type of personality that the candidate is holding to and along with that they deliver suitable career availabilities for the candidates based on their personality type, which can totally support them completely. Therefore, it is necessary to conduct such aptitude test for the sake of the overall development of the company. According to this aptitude test a person can find out the actual type of his interest which can be considered as one of the added advantages for the company. Moreover, this aptitude test can reveal all the hidden interest of the candidates appeared for the company interview. Therefore, most of the candidates receive an added advantage with this aptitude test and that is every candidate finds their self interest over their professional career. In this career fitter test an employer can determine the work personality of the candidate. The fact is that the work personality is considered as one of the personality that each and every employee or a person presents while leading their common lifestyle. Therefore, this career fitter test provides all sorts of answer to the candidate and employers question regarding their work personality and also provide necessary suitable job options as well. 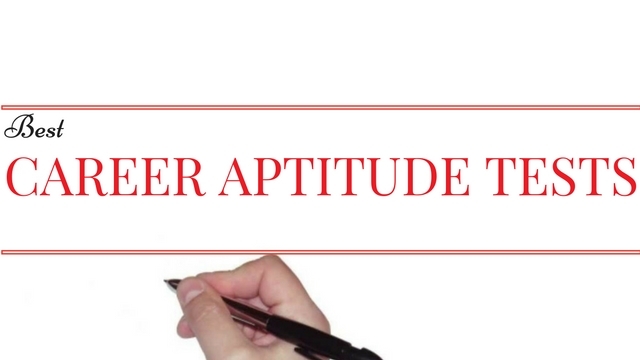 At this level of aptitude test a person might be judged or interviewed on the basis of their different work level, such as career, health, IQ, personality and relationships. There are several different characteristics available for the sake of determining the qualities of the candidates. Therefore, it is necessary to conduct psychological tests because with the help of these tests the employer might be able to understand the level of the candidate. As the name suggests it is not about the physical strength, actually it is more of a mental strength of the candidate. In fact, this strength tests are conducted for the sake of determining the candidate’s ability to handle unexpected events of the company. Therefore, at the end of this strength test most of employer figure outs all the deserving candidate’s for the post offered by the company. Moreover, this helps in delivering a greater decision making skill. As it has been explained earlier about John Hollands theory, the career planner test is the test maintained for the extension of the above mentioned theory. With the help of this career planner test a candidate might find out the required career availabilities of the candidate. Therefore, at the end of this test most of the candidates are clear about their future career requirement. Moreover, it is like finding out the area of work suitable for the candidate. There are several different types of aptitude tests conducted by different areas of the company. And the advantages of this my plan aptitude test are that they help in understanding the actual need of the candidate and the employer. The actual emphasizing areas of tests are interest inventory, skill profile and values assessment. Therefore, it is necessary to conduct a test like this for the overall growth of the candidate. The main focus point about this Princeton review aptitude test is that they determine the real values of the interest revealed by the candidate. It executes the answers for their actual personal interests and their career preferences. Therefore, it is necessary to conduct these tests for the sake of finding out the meaning behind each and every behavior of the candidate, which totally affects the future of the company delivering an interview. This big five personality test is one of the best ways of finding out the actual personality of the candidate. The main characteristics of the big five personality test are such as honesty, consistency, agreeableness, extraversion and neuroticism. These elements of the big five personality test delivers a result of the overall growth of the candidate’s personality and the future availabilities of the company profit. Therefore, it is necessary to conduct this test for the sake of the company goodwill. With the results of the Mapp career assessment test, most of the candidates and the company figures out the actual need of the career assessment for their employees and their company. Therefore, the Mapp career assessment test provides detailed results of the candidate’s overall features required and it also compares the necessary field to be checked for the sake of the position offered by the company organization. Finally, the bottom line is that these best aptitude tests revealed by well known and reputed personalities of the industry helps in assessing the behavioral and skill or talent analysis of the candidate required to handle the position offered by the company. Therefore, if anyone interested to know more about these aptitude tests, then they can follow all the above mentioned aptitude test for more relevant details. Next articleComprehension Questions – How to Answer Them Effectively?